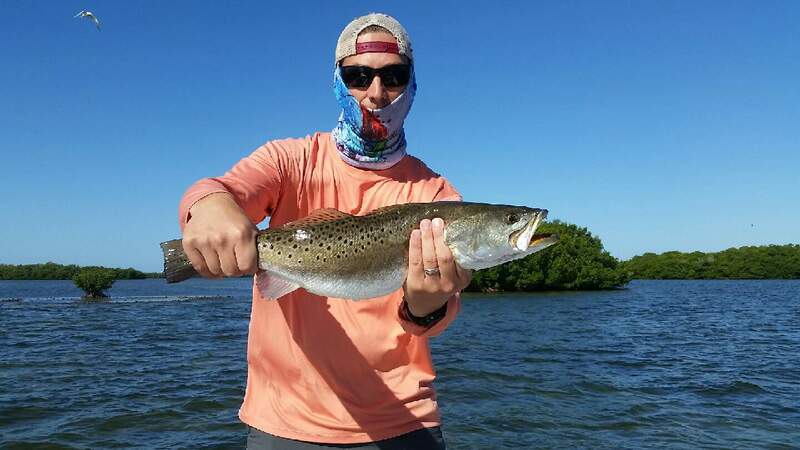 Spotted Sea Trout are a very abundant species in Southwest florida, artificial fishing is a common practice when targeting them. The most common time to fish for them is Winter months when the water cools down. They return from spawning offshore and are ready to eat on the grass flats. They typically stay on the grass flats when not spawning out on the nearshore reefs. They can also be caught on a variety of different live baits. Pilchards, Pinfish, Shrimp and finger mullet. Spotted Sea Trout are not actually trout but in the drum family and more closely related to the Redfish (Red Drum) and Black Drum. Spotted Sea Trout are a mild flaky fish and can be eaten anyway the fisherman desires. Fried, blackened, grilled, and sautéed.